Prepare to be blown away by a revolutionary game that combines fast-paced action and adventure in the popular world of Baldur’s Gate. 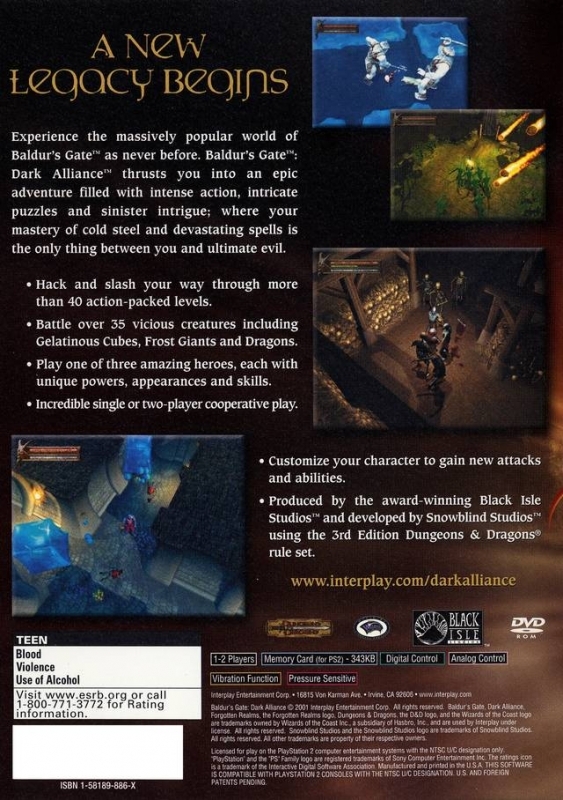 With an epic tale of intrigue, fierce alliances, explosive spell effects and highly detailed creatures and environments Baldur’s Gate: Dark Alliance is a benchmark of technology and gameplay. A new, totally original action/adventure game that takes place in the popular city of Baldur's Gate. 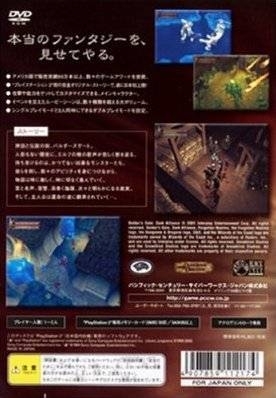 Exclusively developed to harness the power of the PlayStation2 computer entertainment system, displaying explosive spell effects, stunning environments. Single and two-player cooperative play. Customizable characters and character development, each with unique powers, appearance and abilities. Dolby Digital sound, comprehensive voice acting, and a completely original soundtrack. Produced by the award winning Black Isle Studios. First console game to feature Dungeons & Dragons 3rd Edition rules in real time. I third this sentiment. I wonder why no sales data. 9/10 Great game and yeh, co-op ROX! I still think slightly better than the 2nd too. I remember seeing the water effects for the 1st time, wow.